The EU needs more, better and smarter money to convert research and innovation into engines for growth and jobs, writes Nils Røkke. European researchers stand ready to foster competitiveness, creating new and disruptive industries. But only if we work together. Here is how. Nils Røkke is the chair of the European Energy Research Alliance, an organisation that unites 250 European research centres and universities with a total of 50,000 energy researchers. As we reap the lessons from Horizon 2020’s mid-term review, the European research, technological development and innovation (RTD) community is gearing up for its successor – “FP9” for lack of a better name. Or, for now, let’s call it Vision 2030. The EU economy is picking up, with the eurozone growing faster than other regions, and unemployment finally starting to fall. Still, Brexit and government spending restrictions pose real challenges as EU prepares for next decade’s RTD programme. Eurostat shows that Europe’s research investment has stagnated compared to the US. For every percent underinvested in research, Europe loses competitiveness vis-à-vis China, Japan, South Korea and the US. Yesterday, Europe was the world’s scientific cradle. Today, we lag behind in start-ups, patents and research investments. 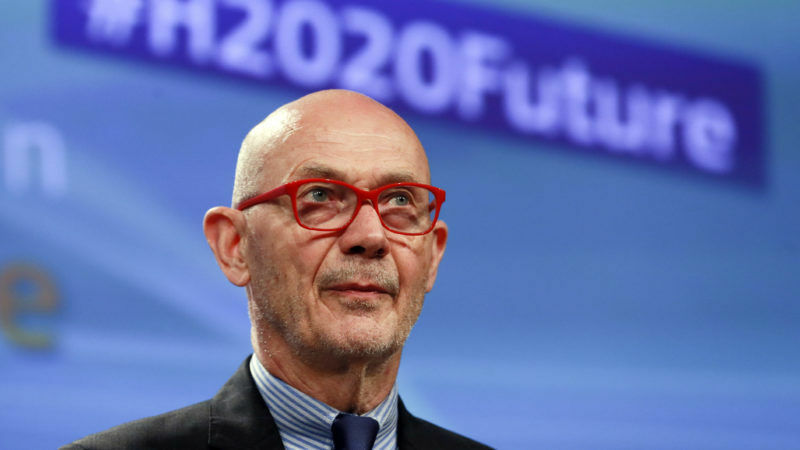 The report by Pascal Lamy, “Investing in the Europe we want,” is clear: Doubling spending on research and innovation in Europe is a prerequisite for spurring RTD into an economic engine for growth and jobs. To reach a low carbon Europe, next decade’s research must deliver technologies for seamless, autonomous and emission free transport modes. Maintaining a competitive European automobile industry requires next generation battery cell production. Digitalisation is a disruptive game changer for energy as for any other sector. A zero sum Multi-annual Financial Framework must not result in a freeze in RTD spending. We have every tool available to succeed by mobilising more, better and smarter funding for Vision 2030. Our challenge is to convert policy recommendations into actions by Member States, the EU decision making machinery and the research community itself. Most of the Lamy report’s recommendations are not about more money, but rather about how the money is spent, i.e. behaviour, synergies and cooperation. There is a manifest link between investing in research and economic growth. To increase financial resources allocated to European RTD, we must tap into existing national budgets. This demands a stronger alignment and clearer links between national and EU funding schemes and programmes. New and innovative models, call them hybrid or osmosis, should reduce current barriers between EU and national programmes. Rallying national funding to maximise effect of EU money is the way forward. In practical terms, national RTD strong-holds should be turned into European Centres of Excellence. While countries strive towards spending three per cent of GDP on research, existing budgets must be spent better and wiser. As Lamy and others point out: The complexity and jungle of EU funding options and requirements breed inefficiency and confusion. Funding instruments across the board must be consolidated, reduced in numbers and become much more user-friendly. Streamlining and simplification should be the guiding star. The EU is not for the big and the few, but indeed for the small and the many. The same should apply to RTD. Citizens will embrace and acknowledge the role of research when we make it available and accessible. The inclusion of research and innovation in basic education is long overdue, as the engagement of citizens in all EU funded projects. Smarter money: Connecting research to private sector innovation. When taking office, Commissioner Moedas called for RTD ‘from labs to markets.’ Today, the slogan is ‘from start-ups to scale-ups’. Catapulting research results into market based innovations is key. But the distance between the two is often a valley of death. EU state aid rules must be adapted to address this situation, as incentives are needed before markets take over. State aid rules are tools to reach a goal, not a goal in itself. While ensuring fair competition, we must allow public support for commercially unviable projects, without having to hire a host of lawyers. Money talks more than a thousand words, so we need public funding mechanisms designed to connect research and innovation agencies with the private sector. The pace of change is accelerating. A successful Vision 2030 lies at the core of creating the Europe we want. Failure is not an option.